Richmond, Ind. — The public is invited to attend the annual Indiana University East Chorale Concert at 7 p.m. on Monday December 8, at Central United Methodist Church, located at 1425 E. Main Street. Indiana University East is announcing the inclusions of the Whitewater Valley Annual Art Competition during a reception for the artists. 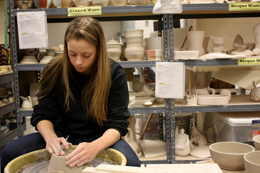 The 36th Annual Whitewater Art Competition was held October 18 at IU East. 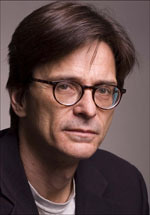 This year’s competition was juried by David Klamen, the Chancellor’s Professor of Fine Arts at Indiana University Northwest and prominent Chicago artist. Richmond, Ind. — Student Social Work Association (SSWA) at Indiana University East is hosting a Suicide Awareness Day from 1:30-4:30 p.m. on Tuesday, October 14, in Whitewater Hall. Indiana University East will present Alice Driver from 5-6 p.m. on Monday, September 22, in the Whitewater Hall Community Room. Driver, a photojournalist in Mexico, will present on her upcoming book More or Less Dead. She will also talk about her work as a photographer and as a documentary filmmaker. Her documentary film is If Images Could Fill Our Empty Spaces. Indiana University East is pleased to welcome its newest faculty in the School of Humanities and Social Sciences. Melissa Blankenship, visiting lecturer in English, received her Master of Fine Arts in Creative Non-Fiction from Murray State University and her Bachelor of Fine Arts in English with a Creative Writing minor from Indiana University East. Indiana University East students who studied abroad in Argentina this past May as part of a civilization and culture online course will exhibit their projects at the university’s Room 912, located at 912 E. Main Street in Richmond, Ind. The exhibit will be on display from September 13 to October 15 as part of Hispanic Heritage Month. Indiana University East Dean of the School of Humanities and Social Sciences Katherine Frank has been named as the dean of the College of Arts and Sciences at Northern Kentucky University. 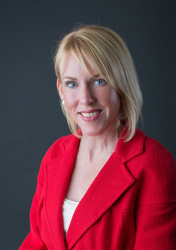 She will begin her duties at NKU July 1, 2014. Professor of Journalism and author Robert Jensen will speak at Indiana University East on “Power and Politics in the Age of Obama: Is the United States Post-Racial?” at 7 p.m. on Wednesday, October 16, in Vivian Auditorium, located in Whitewater Hall. The lecture and activities are part of the university’s fall diversity project.